Confession: I am behind on my word count for this year’s NaNoWriMo. It has happened before, and I am still confident I’ll recover. I simply need a weekend’s worth of focus to catch up. That being said, instead of writing something new for today’s post (I need to save all my creative juices for writing young adult noir), I want to direct readers to a piece of mine that was published over at Vol. 1 Brooklyn last week. It is a travelogue of my hometown, Yakima, Washington, as seen through the lens of Yakima’s literary son, Raymond Carver. 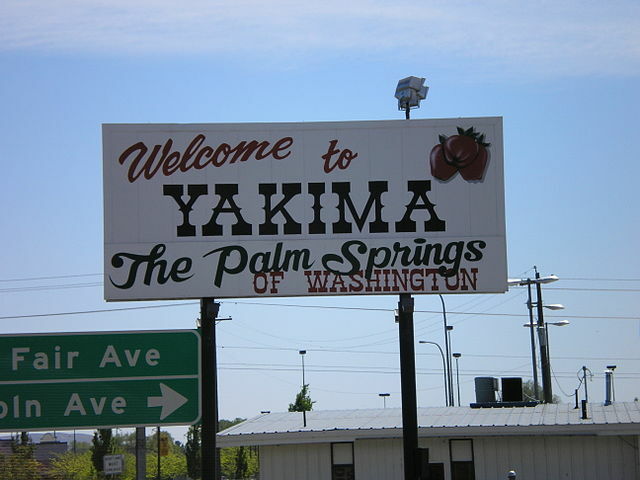 Who would have thought that a hip literary website would someday feature the “Palm Springs of Washington” sign? I’m doing my best to unite one of the coolest places in the world with…Yakima. Hopefully next week, I’ll be back with 25,000 words of my new manuscript to show for myself. Onward! Next Post What’s it Like There, and is it Better Than Here?